Summer has hit Milwaukee with a big whollop of hot and humid, but the Milwaukee Art Museum is cool, so bring the family down and enjoy. Kids 12 and under get in free everyday. This week the Museum plays host to a few exciting events. On Thursday, July 21, the Museum welcomes Melissa Chiu, director and curator for contemporary Asian and Asian-American art at the Asia Society in New York. She’ll be giving a lecture at 6:15 p.m. in Lubar Auditorium about contemporary Chinese art. Stick around after the lecture and walk amongst the new installation by contemporary Chinese artist Yue Minjun. On Saturday, July 23 and Sunday, July 24, the Chinese Cultural Festival comes to the Museum, sponsored by the MCCC. It will be a weekend filled with food, music, art, family activities, demonstrations, and more. Plus, MillerCoors will debut a very special micro brew, Pujo, available during the course of the Festival only. 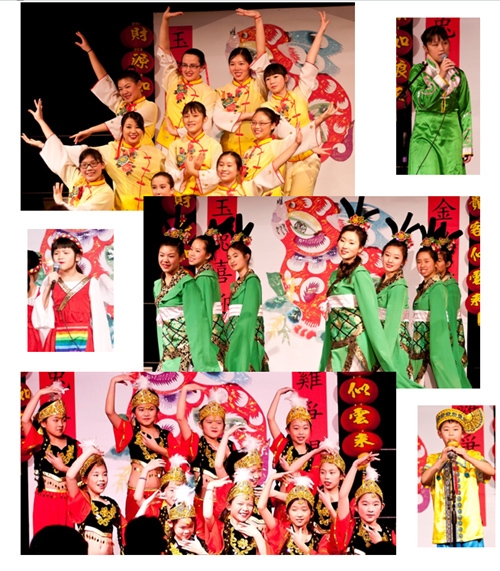 The Chinese Cultural Festival runs from 10 a.m. to 8 p.m. on Saturday, and 10 a.m. to 5 p.m. Sunday. This entry was posted in Art, Events and tagged Events, Family Programs, News, Summer of CHINA. Bookmark the permalink.